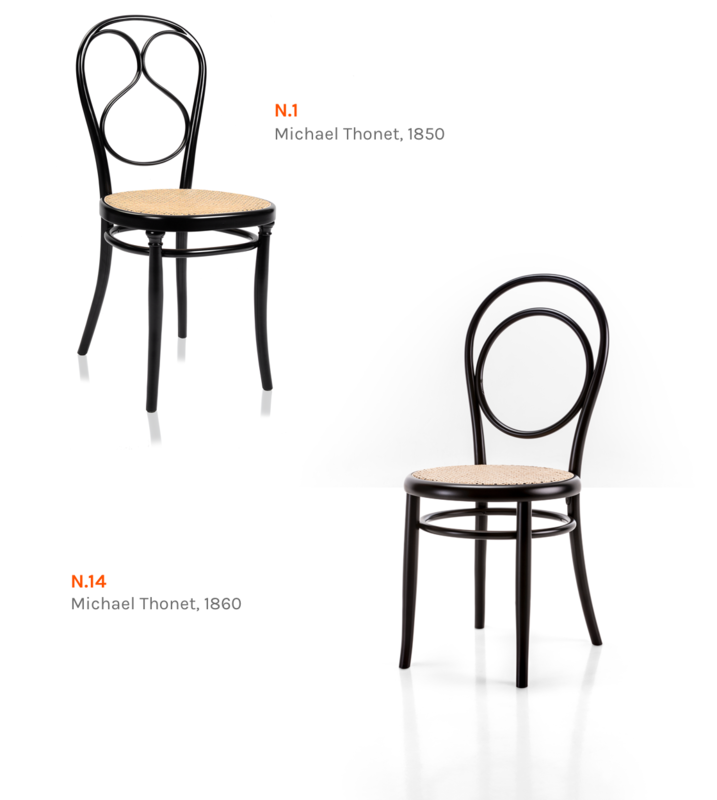 Michael Thonet (1796-1871) and his five children were the most successful manufacturers of furniture in the Industrial Age. 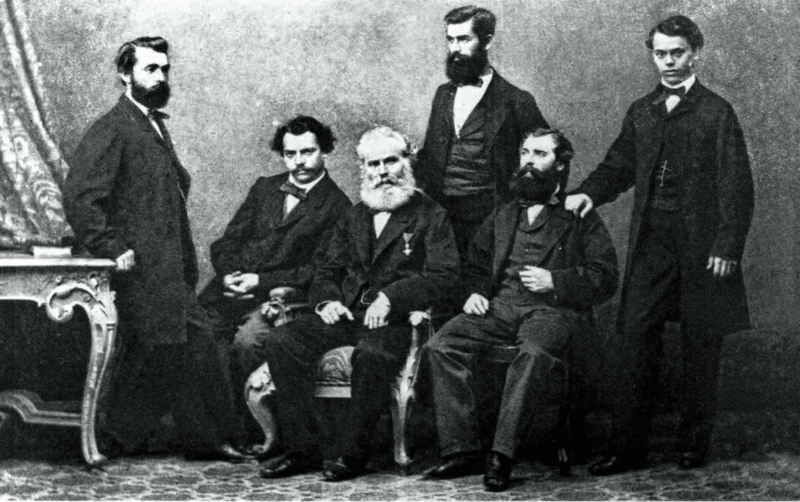 Having been invited to develop a patent in Austria by Chancellor Metternich, who had seen his products at the Exhibition held by the society of friends of arts in Koblenz, in 1842, Michael Thonet left Boppard, to settle in Vienna, where in 1853 he founded the company “Gebrüder Thonet” by involving his five sons. In the Hapsburg capital, Michael Thonet abandoned the more traditional technique of glued lamellar wood in favour of the industrial chemical – mechanical steam bent process. This innovation led him to begin producing wooden furniture, presenting a collection of elegant, yet practical designs that could be manufactured on a larger scale. He immediately supported this with a distribution and sales network that was capable of penetrating any market. In 1911, the Gebrüder Thonet catalogue boasted 980 different models. By the end of the second world war, independent production plants had been set up in various different countries and developed into separate businesses. In Austria, the home market of Gebrüder Thonet, the business was rebuilt by descendants of Michael Thonet, including his great-grandson Fritz Jakob Thonet as well as Fritz Jakob’s children Evamarie Thonet and Richard Thonet. After the war, they had to start from scratch, with little more than their experience and passion for furniture. They recommenced their business in one of Gebrüder Thonet’s former warehouses in Vienna. From 1948 on they rented a production site in Rohrau, Steiermark, before they finally built their own production site in Friedberg in 1962. In 1976 the Austrian business changed its name from Gebrüder Thonet to its current name Gebrüder Thonet Vienna. 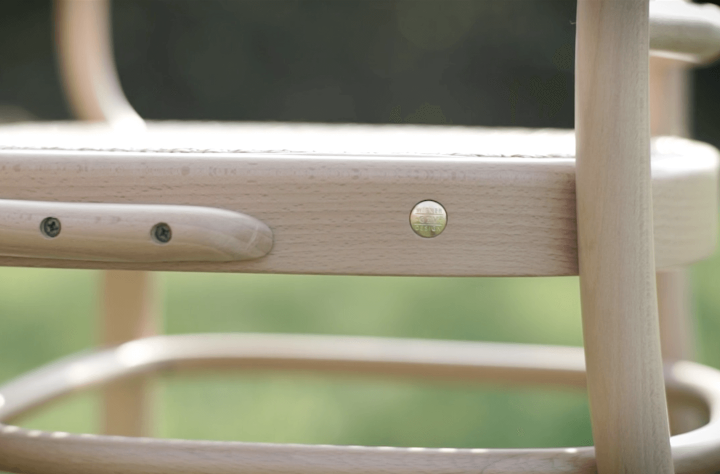 More recently, Gebrüder Thonet Vienna GmbH (GTV) has develop edits work in a successful blend of the traditional and the modern, of continuity and renewal, with a new production program that begins by re-editing a series of Gebrüder Thonet classics. At the same time, GTV stands for contemporary furnishing. Advanced production techniques are applied to innovative designs and uses of materials, to create highly sought-after, multipurpose furnishing items. Truly original, up-to-date solutions that integrate well with the more classic products of its catalogue, now reworked. Items such as chair No. 14, of which more than 50 million were made between 1850 and 1930, have gone down in history for their fine design and manufacturing quality, and yet still today excite and attract new generations. GTV always succeeds in finding the perfect combination of tradition and innovation, assisted by continuous research into new, clear-cut, versatile designs. The tangible and intangible intrinsic value of the GTV collection is expressed in the Wiener GTV Design brand, engraved on a coin embedded in the structure of each single piece: a precious detail that certifies authenticity, originality and quality in stable balance between manufacturing and high-level craftsmanship. Inspiring this unique detail was the coin with the image of the brand that was historically spent internally within Thonet production facilities throughout Europe.